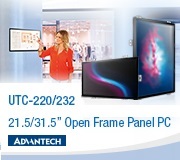 Advantech-Innocore promotes four new Gaming Platform Products, as well as LCD monitors, curved LCD monitors and solutions for Digital Signage and Player tracking applications. January 12th 2017 Newcastle, UK - As the gaming-focused business unit of the $1 billion Advantech Group, Advantech-Innocore stands alone among hardware suppliers. 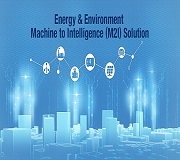 With its own manufacturing plants, global logistics and service centers as well as a leading edge product roadmap, Advantech-Innocore is able to meet the most demanding requirements of our customers in the gaming industry. The company has an extensive portfolio of standard hardware products based on both Intel® and AMD chipsets and offers supporting software products and utilities. The expert design team also delivers some of the most sophisticated custom designs for gaming industry OEMs who require a gaming platform designed to their exact specifications. 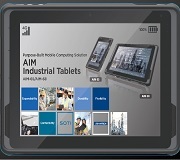 Advantech-Innocore will be showing a selection of products from Advantech’s other product divisions. 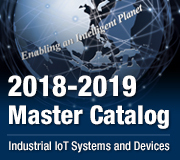 Products on display will include embedded PC platforms featuring the latest AMD, Intel, chipsets), and other embedded computing products: Industrial motherboards and modules in a variety of formats including Mini-ITX, COM Express and MicroATX. 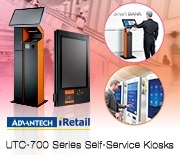 Advantech’s growing line of industrial LCD monitor products from IDS (Industrial Display Systems) product line will also be shown. With screen sizes available from 7 inches up to 55 inches and beyond, the IDS range includes the latest technology products for high visibility, touch screen, sunlight view ability and ruggedization and curved screen models too. Different models of displays will be on show featuring concave and convex curved LCDs in sizes from 25 inches diagonal up to 65” and even S-shaped curve screens. No less than four new DPX® gaming products will be on show in Las Vegas. The exciting new DPX®-E135 and DPX®-E250 in the E Series range, the DPX®-S440 and DPX-S2440 in the S Series range. The DPX-E135 is a completely integrated system for gaming applications. Based on the 3rd generation of AMD’s G Series embedded platform, the DPX-E135 provides a complete PC platform with passive cooling. The system uses AMD’s latest high performance dual and quad core SOC devices with “Discrete-level Graphics” from the integrated HD8000 series graphics core. A full feature set of I/O and COMs designed specifically for gaming devices is also included making the DPX-E135 an ideal integrated platform for many gaming, amusement and kiosk applications. The DPX-S440 is another new motherboard for the gaming industry. It features the very latest AMD top end R series embedded platform. The DPX-S440 is the latest in the very successful DPX-S range of products which give customers field-proven reliable platforms with the peace of mind of massive scalability and future upgradeability. The third new product on show at ICE is the DPX-E250 a Xeon® capable motherboard for the gaming and lottery industry. It features the very latest 4th Generation Intel® Core™ architecture CPUs up to and including Intel Xeon CPUs. Best in class CPU performance – the DPX-E250 supports a huge range of price and performance from dual core Celeron, through Core i3, Core i5, Core i7 and up to Xeon CPUs. The latest Intel embedded platform ensures customers a long lived (guaranteed 5 years in production), and future proof platform ready for whatever performance needs come along. To meet the ever increasing graphics performance requirements of the casino gaming industry, Advantech’s products offer the most scalable expandable solutions for customers needing more screens or high performance discrete graphics card performance. At the show the company will introduce new graphics cards which use the latest AMD and Nvidia GPUs. From AMD we will show cards based on the new E9260, E9550, E8870 and RX-460. These cards with 4GB or 8GB of on board memory and the latest Polaris GPU architecture from AMD give customers state of the art 3D performance with the extended availability needed for gaming.